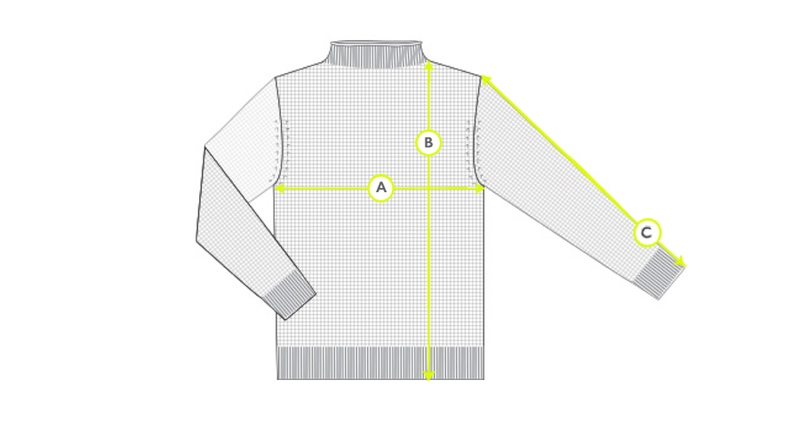 Knitted from 100% Merino wool, this is a modernised development on the traditional Guernsey sweater. With a raw, rolled funnel neck and fully fashioned shoulder seams, it has been crafted in a substantial tuck stitch for supreme warmth and structure. 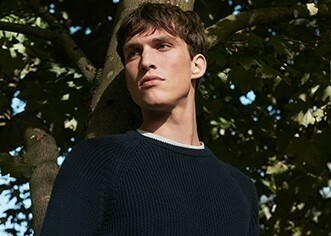 With premium yarns sourced from Italy, this unique adaptation of a wardrobe classic is extremely soft, durable and ideal for the colder months, worn as a stand-alone piece.